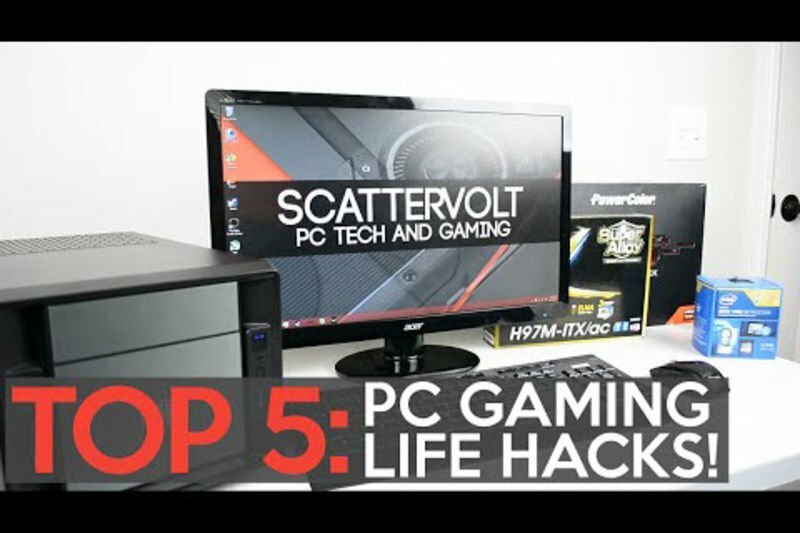 Video: Top 5 Pc Gaming Life Hacks! Home / Computers/technology / Hacks / Video: Top 5 Pc Gaming Life Hacks! Ranging from faster Internet Steam Download speeds, better PC gaming performance, to free Gunnars for your monitor, here are Top 5 PC Gaming Life Hacks that will instantly improve your PC Gaming experience! Have You Heard About Nvidia's Latest Gaming Gpus? Have You Seen Samsung's Latest Gaming Monitors? Is Apple Intentionally Slowing Down Your Old Iphone? Video: These Tech Life Hacks Are So Good They Should Be Illegal! Video: Some Tech Hacks That Everyone Should Know! Video: 5 Easy Hacks For Your Phone! Video: New Gaming Inventions To Look Forward To!